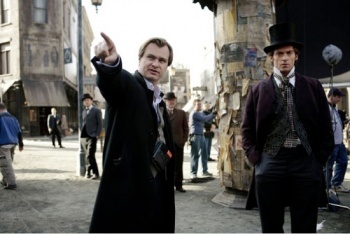 Nolan also said there were technical details to consider and that 3D glasses, not to mention shooting in 3D, reduces the quality of the movie. "The truth of it is, when you watch a film here [in 2D], you'll looking at a 16 foot-lamberts [a unit used to measure screen brightness]. When you watch it through any of the conventional 3D processes, you're looking at three foot-lamberts. It's a massive difference. Having struggled for years to get theaters to get up to the proper brightness, we're now seeing polarized film going back to worse than we were. There are a lot of problems with it."